The Nassau Tennis Club is serving up tennis cheer this holiday season with holiday camp, league play, the perfect gift certificate and reduced holiday court rental rates. Looking for a fun way to keep your children active when they are home from school? Nassau’s junior holiday tennis camp is available for children ages 5-17 of all tennis abilities. The junior holiday camp is held on December 26-30, from 9 am – 12:30 pm. Pizza lunch is provided. Adult tennis players can also join in the fun with Nassau’s adult holiday camp – a high-energy, competitive practice session involving primarily “live ball” drills and point development situations — offered on December 26 – 30, days and evenings. Adult Holiday League will be offered on December 27 – 30, 9:30 – 11 am and 7:30 – 9:00 pm . There will also be a social night out of mixed doubles on Friday, Dec 28, 6-8 pm. 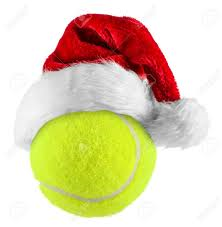 Holiday Pickleball will be running throughout the week, December 26-30: please call to register. The holiday cheer does not stop with holiday camp & leagues! If you are looking for the perfect gift for the tennis fanatic in your life – a gift certificate from the Nassau Tennis Club is the perfect present. Nassau Tennis Club will again offer holiday court rentals for only $29 per hour on December 24 and December 26–January 1. Open registration for winter session group clinics begins on December 9, 2018 for adult and junior players. Nassau Tennis Club is offering a Pickleball League on Mondays, Wednesdays and Thursdays, 2:00-4:00 pm. All levels are welcome. The cost per day is $10/person (plus bring a ball). Participants can sign up and pay as they play. Pickleball combines elements of badminton, tennis, and table tennis. Two or four players use solid paddles made of wood or composite materials to hit a perforated polymer ball over a net. In addition to Pickleball, Nassau Tennis Club offers Yoga for Tennis on Thursdays, 8:30-9:30 am and will be introducing “Circuit Circus,” a cardio tennis clinic this Spring. To sign up for Pickleball or learn about Nassau’s programs, call 908-359-8730. 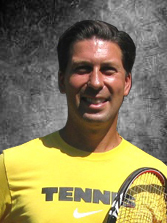 Nassau Tennis Club is the premier tennis facility in the area offering tennis instructions, USTA leagues, summer camps and conditioning programs. To learn more, visit http://www.NassauTennis.Net. How to Beat Lobbers: Read, Adjust Position, Keep it Low, Be Patient! When facing lobbers, it’s important to make some adjustments to your game plan. Of course, being tall and able to hit aggressive overheads is a big plus, but it is not a requirement in order to beat lobbers. When at the net, try to read the opponents’ body and court position in order to get an “early read” on what may be coming next; that can increase your ability to take more overheads from an aggressive position. In extreme cases, it’s helpful to play with the “one up, one back” format in order to facilitate handling good lobs. Also important is try to hit shots that make it more difficult to hit effective lobs, for most players this means hitting low and shorter balls. That will limit the time and real estate lobbers have to create their shots. Last but not least, it’s crucial to be patient and not show that the lobbing game style frustrates you or your partner. By making these adjustments, you’ll be better able to minimize the damage they can do with their lobs, and once their lobs stop working they are more likely to change it. Thirty-two junior players participated in Nassau Tennis Club’s “Play for Page” tennis tournament raising about $1100 for the Paige Barrie Aiello Memorial Foundation, Inc. Nassau Tennis Club donated the courts and the staff to run the event. 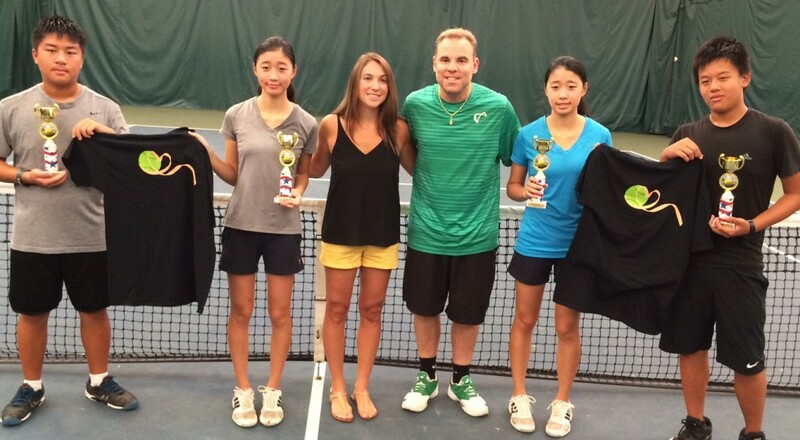 In photo are the winners and finalist from the event (l-r): Andrew Kim, Ally Yan, Erin Aiello, Seth Miller (Tournament Director), Amy Yan , Ethan Mao. Your child’s coach will know. It is hard for you or your child to determine on your own whether or not your child is ready. Ask your child’s tennis coach if they have the mental toughness and skill that is necessary for tournament play. If you throw your child into a tournament too early, they may show up unsure of what to do or how to play and may embarrass themselves. In some unfortunate yet severe cases, a child that is not ready, may have a poor experience that may results in them never wanting to play a tennis tournament again. It is important not to start until your child is ready! It is highly competitive. Tournament play is for athletes with thick skin. Some athletes will do whatever it takes to win, so sometimes there may be cheating and bad calls. A player must be ready to face these obstacles. Because rankings are extremely important for college, the tournament environment is not very forgiving. If your child does not adapt to adversity well, maybe tournament play is not right for them. Be ready for commitment. Tournaments require incredible dedication. Parents will be driving back and forth from practices every day, and may be driving every other weekend to a tennis tournament. Tournament athletes average about 10 to 12 tournaments a year. The minimum amount required is 6 tournaments yearly. The tournaments may be up to an hour away, some two if they are out of your district. 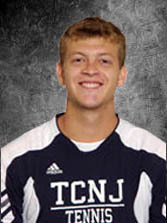 Seth Miller is the Director of Junior Programs at the Nassau Tennis Club in Skillman, NJ. One of the biggest obstacles that an avid tennis player may face is transitioning from indoor to outdoor tennis. Unlike indoor courts, courts in an outdoor complex are subject to the elements. With such starkly different playing surfaces and elements, indoor and outdoor tennis prove to be two entirely different experiences. Indoor facilities have curtains, wind barriers, and provide the perfect playing conditions. The light sources inside Nassau Tennis Club are equally dispersed, artificially-lit hanging lights. Indoor environments are therefore much more predictable and consistent. Where is the sun? Is it going to be a factor? If you are playing doubles, which one of you is better at serving into the sun? Make sure to designate who should serve when it is an especially sunny day. You can use the sun to your advantage by throwing up a lob so that your opponent has to hit it with the sun in their eyes. Which way is the wind blowing? If the wind is blowing to your opponent’s back, rush the net. The wind will carry the ball long. How can I readjust to a bad bounce? Make sure to move your feet and bend your knees to adapt to bad bounces. Be aware of the possibility of the ball hitting a divot. Be sure to recognize that speed of play is much slower on clay. Players must learn to be patient in order to force opponent errors rather than try for winners. The ball bounces much differently on clay courts, which then requires players to bend their knees to get under the ball and hit with topspin. Consistency and patience are key when playing on clay courts. Challenge yourself to hit a rally count of 6 when playing singles in order to force their errors. Playing on clay courts also allows for the ability to circle ball marks to ensure validity of calls. This trains your opponent to do the same. Although style of play is vastly different in each environment, players must learn how to quickly transition from one surface to the other. Being able to easily switch from indoor to outdoor or vice versa is an important skillset to have when becoming more involved with year-round tennis. I personally like both equally because of the contrast and unique style of play I experience on each. 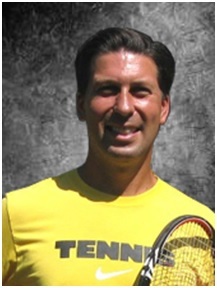 Gino Carosella is the Director of Adult Programs at the Nassau Tennis Club in Skillman, NJ. 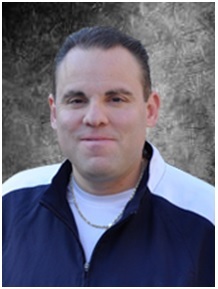 Jeremy Eckardt has been named Director of ROGY Programs at Nassau Tennis Club. 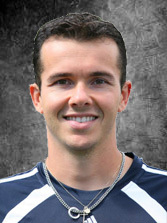 Jeremy has been a part of the Professional staff at Nassau since 2004 and a High Performance Academy coach since the program’s inception in 2010. He has instructed juniors, adults and elite juniors throughout his tenure at the club. Jeremy will be spearheading the growth of Nassau’s ROGY junior program. ROGY tennis uses a systematic progression of court sizes, balls, and rackets, to scale the game down to an appropriate level for 5-12 year olds. This powerful, progressive tennis system allows juniors to learn, play and compete quickly and successfully. USTA, the United States Tennis Association, is a nation-wide league comprised of competitive athletes of all skill levels who wish to improve their game. Whether you are a long-time member or have recently joined, it is important to know how to get the most out of your USTA experience. Here are some tips and tricks to enjoying the game and avoiding drawbacks of highly competitive play associated with USTA leagues. There are a few ways to avoid the pitfalls of an overly competitive USTA opponent. If you are unsure of how to deal with bad calls, you can easily avoid them if you are playing on a clay court. If your opponent is insisting that her shot was in and it clearly wasn’t, circle the ball mark. Clay courts ensure an obvious mark that cannot be negotiated. Circling the mark trains your opponent to do the same, which can promote fair play. An effective and magnanimous way to avoid competitive bickering with opponents is letting them have the point. Getting worked up about the accuracy of a call is not worth your time or effort. 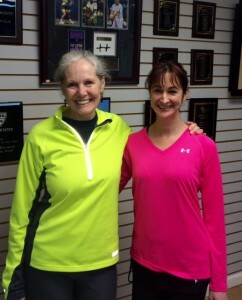 Rather than winning, an overall goal for your USTA experience should be becoming a better athlete. There are many ways to do so. Work on perfecting your style of play rather than winning or losing a point. It is better to lose while establishing good habits than win with sloppy tactics. Make mini goals for yourself that will eventually lead to becoming a better athlete. This, in turn, will result in more wins. One mini goal you can set for yourself is lengthening play. This means having the patience to continue the rally in order to force errors from your opponent. If you start thinking about hitting winners to end the point quicker, you make more unforced errors. Overall, USTA, while being very competitive, should be a fun experience that helps make you a better tennis player. The USTA rating is just a number, and not a real level. You can make the most of your season by taking a holistic approach to your game. By improving your style of play, you will win more matches. And be an ace I just bet! One Up/One Back Formation: Known as the standard formation, where the baseline player tries to setup their partner at the net or eventually join him/her at net. Both Back Formation: Usually, a more defensive formation, commonly used by players who are not comfortable at the net or when competitors ground strokes are extremely dominant. The “I” Formation: Server and net player will stand in front of each other (server serving from close to center, net player kneels down near the T). The net player will communicate a pre-determined side prior to the returner hitting the ball. Australian Formation: Server and net player will stand in front of each other (server serving from close to center, net player will be on the same side as server). Usually, the server moves to cover the down-the-line return i.e. when serving to the ad side, the server will move to the deuce side while net player will covers middle and the ad side. Decreases the opponent’s ability to get into a rhythm e.g. forcing them to return to different locations based on where the net player is starting. Isolates your opponent’s weakness i.e. the Australian formation from the ad side makes your opponent hit the backhand down-the-line which is a difficult shot for most players. Makes you play your strength more often i.e. the “I” formation can allow you to play from the side you are stronger and your partner can switch sides to cover your weaker side. Create confusion for the returner i.e. the “I” formation can make the returner pick his/her target later as they will wait to see where the net player is going, that alone can force errors from your opponents. When should you use double formations? If you are struggling to win points against one specific returner, give them a different look by changing the formation. If you are getting beat pretty bad, try a new formation since what you are doing is not working! If the match is close, it’s likely best not to experiment with something new at a crucial point.